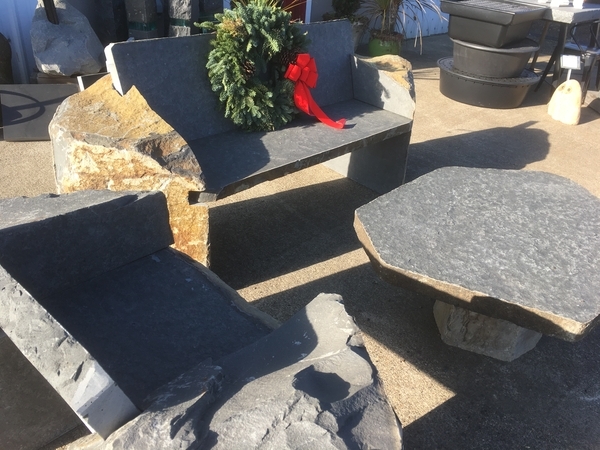 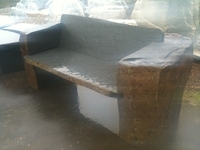 This stone furniture is perfect for having a casual conversation, viewing your garden or contemplating the universe. 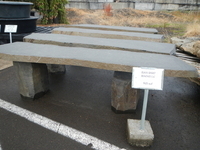 Crafted of basalt column stone, its mortised joints allow it to be held in place by its sheer mass. 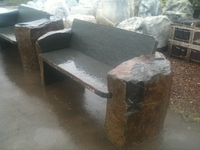 Each seat is a unique creation of natural and thermal finishes and at home in any landscape - especially YOURS! 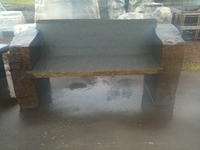 Put together an outdoor living room of a love seat, two club chairs and a coffee table! We offer special discounts for these sets! 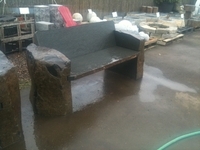 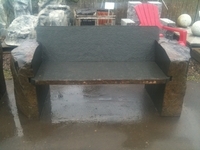 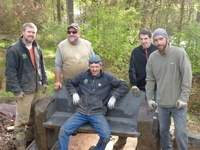 These basalt furniture pieces can be palletized and shipped anywhere in the US.